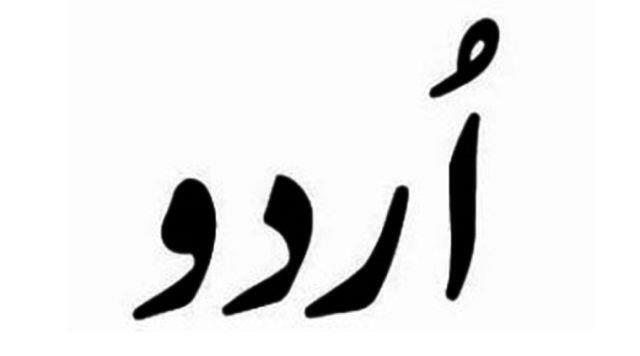 March 4 : The ultimate test of a language's survival is how it is chosen by its users to express their innermost feelings.This yardstick could well explain the case of Urdu, especially when it struck up its enduring partnership with films. And a standard-bearer among those responsible for bringing the ghazal out of courtly soirees to become an eloquent expression for everyman was this failed businessman. Consider these songs: "Milkar judaa hue to na soya karenge ham/ Ek dusre ki yaad mein roya karenge ham", "Zindagi mein to sabhi pyar kiya karte hai/Main to mar kar bhi meri jaan tujhe chaahuunga", "Ye mojeza bhi mohabbat kabhi dikhaaye mujhe...", or even "Mohe aayi na jag se laaj/main itna zor se naachi aaj/Ke ghunghru toot gaye" or "Chaandi jaisa rang hai tera sone jaise baal/Ik tu hi dhanvan hai gori baaqi sab kangal". "Qateel Shifai" penned the lyrics of some of the most heard songs rendered by some of the subcontinent's best-known voices -- Mehdi Hasan, Jagjit Singh, the Sabri Brothers, Pankaj Udhas and more. And he is one of the rare lyricists who has written for both Lollywood and Bollywood. But the path of Mohammad Aurangzeb Khan (1919-2001) to become "Qateel" was scarcely obvious or smooth, given that there was no tradition of poetry in his family; nor for that matter was Urdu his mother tongue (he was actually a speaker of Hindko, the western Punjabi dialect prevalent across a huge swathe of highland Punjab and stretching into both present Khyber-Pakhtunkhwa and Kashmir). Born in a businessman's family in Haripur in Hazara Division of what was then North-West Frontier Province of British India, he had to stop his studies when 16 as his father died and begin earning for his family. He started his own sporting goods shop in Haripur but as it didn't prove very successful, Aurangzeb Khan decided to move to Rawalpindi, where he started working for a transport company at the (then) princely sum of Rs 60 per month. However, his chance to adorn the literary firmament came in 1946, when, out of the blue, he was called to Lahore and offered the post of the assistant editor of a decade-old literary journal "Adab-e-Latif". His first ghazal was published in Lahore weekly "Star", edited by Qamar Jalalabadi, the poetic takhallus of Om Prakash Bhandari, who would later become a prominent lyricist in Bollywood. It was in January 1947, that Qateel -- as he had become while adopting the second part of his takhallus from his literary mentor Hakeem Yahya Shifa Khanpuri -- was approached by Lahore-based film producer Dewan Sardari Lal to write lyrics for his upcoming film. This was "Teri Yaad" (1948), starring Dilip Kumar's brother Nasir Khan, and the first film released in Pakistan. While it is tempting to say that there was no looking back with this, it was not the case yet. For over a decade, it was slogging as an assistant lyricist before he achieved high status in his own right, and it was then we can say that there was no looking back. Noted for the exquisite simplicity of his love-imbued lyrics, which didn't remain confined to ghazals, but extended into nazm and geet, Qateel -- with "Raat chandni maiin akeli" from "Zehar-e-Ishq" (1956), "Nigahe mila kar badal jaane vaale/Mujhe tujh se koi shikayat nahi hai" from "Mahboob" (1962) or "Dil ke viraane mein ik shamma hai ab tak roshan/Kii parvana magar ab na idhar aayega" from "Naila" (1965) -- soon made a name. But if we are take one particular song as representative of his ability as an incomparable poet of romantic expression at its most sublime, then it has to be "Zindagi mein to sabhi pyaar karte hai..." from film "Azmat" (1973). With "Apne jazbaat mein nagmat rachane ke liye/Maine dhadkan ki tarah dil mein basaya hai tujhe/Main tasavvur bhi judaai ka bhala kaise karun/Maine qismat ki lakeeron se churaya hai tujhe.." or "Teri har chaap se jalate hain khayaalon mein charagh/Jab bhi tu aaye jagata hua jaadu aaye/Tujhko choo loon to phir ai jaan-e-tamanna mujhko/Der tak apne badan se teri khushbu aaye..", it deserves a place among the most impressively love lyrics in the Urdu poetical tradition. But Qateel, who wrote over 2,000 songs in over 200 Pakistani and Indian films, also was lucky, unlike quite a few counterparts on both sides of the border, to be as famous for his "non-filmi" work -- be it Jagjit and Chitra Singh in "Milkar juda huye", declaiming "Aansu chhalak chhalak ke sataayenge raat bhar/moti palak palak mein piroya karenge ham" or Mehdi Hasan warbling "Vo mera dost hai saare jahan ko hai maaloom/Dagah kare vo kisi se to sharm aaye mujhe" and several other classics. Here he was also not confined to love -- the rather ironic "Apne liye ab ek hi raah nijaat hai/Har zulm ko raza-e-khuda kah liya karo" and much more in nearly 20 collections showing his versatility. And like many others, he could pen an epitaph for himself: "Main apni zaat mein nilaam ho raha hoon 'Qateel'/Gam-e-hayaat se kah do khareed laye mujhe". His fear, happily, was misplaced.